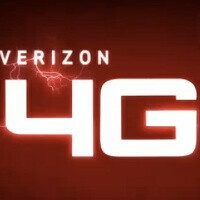 Verizon Wireless claims to have the nation’s most reliable network and while it was indeed the first to launch a LTE network, yesterday was the third time the 4G network went down this month. Luckily, 3G data wasn’t affected and the carrier managed to resolve the issues overnight so today LTE is back to operational, Big Red confirmed. The Christmas-New Year’s eve time of the year is usually a busy period of the carrier, but still a huge outage like that is not acceptable for most. Is your LTE connection working now? yeah, I'm back to 4G bliss, but for how long? Verizon needs to explain WHY this keeps happening. and just to clarify, for about 2 hours yesterday, I had NO 3G as well on my Thunderbolt. I do agree that Verizon needs to explain the outages. I have been a VZ Wireless customer for 11 years and WILL NOT LEAVE. I am a very savvy telecommunications technology professional who understands the cellular wireless environment. I don't care what others are saying about ATT, Sprint T-Mobile and other carriers. I am one million percent certain that while Verizon's products and services are generally a bit more costly, Verizon has an overall much better service, not just network based, but customer service as well. I have investigated all the other carriers over the years and my final conclusion is that after all is said and done, Verizon is the best. They are not perfect by any means, but the best of all evils. I'm back to having 4G after an outage yesterday morning for almost 3 hours in New Orleans. Also I do agree with pugs that the outtages need to be explained, because I've seen an influx of customers with 4G aircards who are on the edge of returning or ALREADY returned. I'm currently a dealer on my final day at work (family emergency is forcing a move back to East Texas a day away), and I saw a return on a aircard 30 days old. I was ONLY informed TODAY by my manager that VZW relaxed their return policy during the holidays; but NEVER informed their retailers... In this situation, its understandable (despite the annoyance) due to the 4G outtages. However, in ADDITION to explaining the 4G outtages; Verizon ALSO needs to inform their retailers if they "changed" their return policies, even if it was ONLY for the holidays. For one, I will miss being in a 4G area (my section of east texas in Lufkin/Nacodogches is currently lacking in 4G), but I will be glad I'll have a phone that will work 10 miles off the highway. Trying with AT&T and Sprint won't get you anywhere in the backwoods in TX. It's still reliable, so what 4G was down for a bit. Did not affect me in any way. No one is perfect and yes explanations are needed but not necessary. Now if the whole network went down, ok then we are all in the runt but it was not. 4G is still new and kinks are being worked out, we have to understand that. We never stop to understand, we just want more and more and never thank the people behind it all. Sorry, just saying.